Zendesk provides customer service and support ticket software used globally by teams big and small. Trello has powerful integrations with Zendesk, both in the form of the Zendesk Power-Up and a Trello App for Zendesk available in the Zendesk Apps Marketplace. 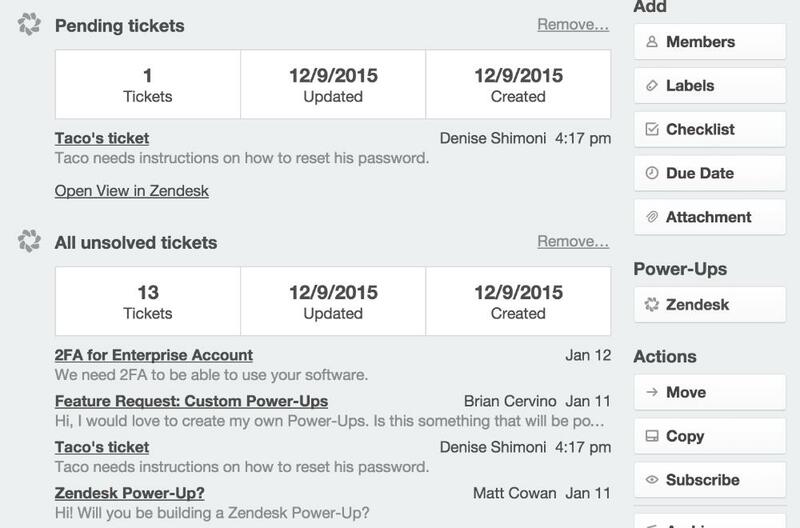 The Zendesk Power-Up allows you to attach Zendesk tickets and views to Trello cards. Attach tickets to see quick summaries relevant to a card. Attach views to see high-level stats and summaries without jumping back and forth between tools. To enable the Power-Up, open the board menu on the right side of the page, select the Power-Ups menu option, and then click the "enable" button next to the Zendesk Power-Up. Once the Power-Up is enabled for the board, each individual user will need to authenticate their Zendesk account from within Trello. To do that, open up a card, click the Zendesk button in the Power-Ups section on the back of the card, and select "Attach a ticket" or "Attach a view" Then, select the "Link your Zendesk account" button. 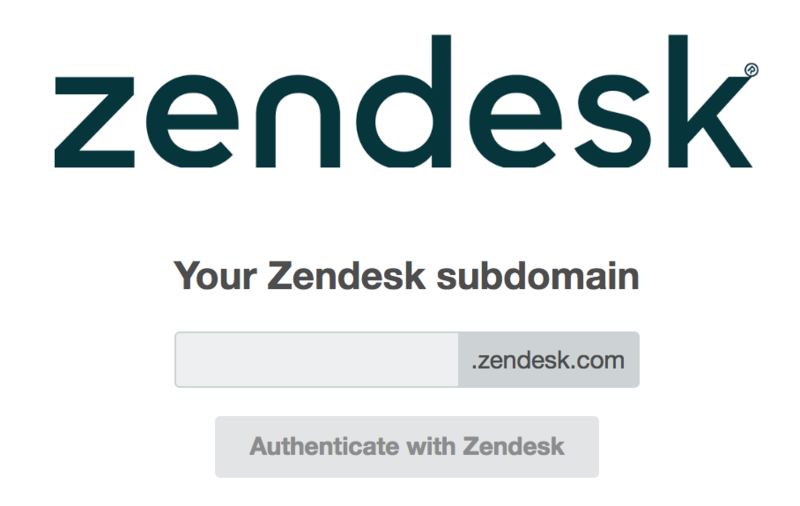 A popup window will open and ask you to enter your Zendesk subdomain. Once done, click on "Authenticate with Zendesk" and log in using your Zendesk username and password. 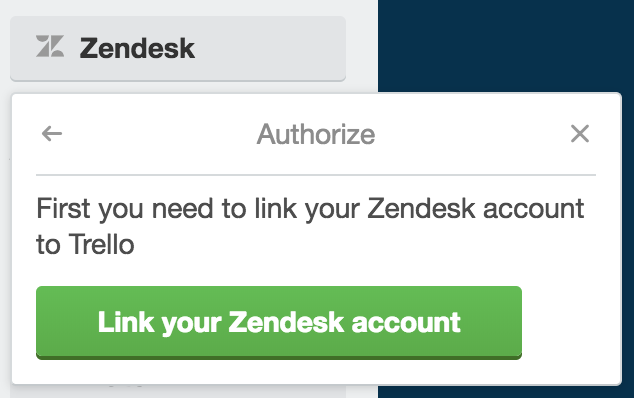 Each member who has access to Zendesk will need to link their account to Trello individually. Only one Zendesk subdomain is supported per Business Class team. To change the subdomain after initial setup, use the settings menu for the Zendesk Power-Up in the board Power-Ups sidebar. Please note that only members of the Business Class team will be able to access the Power-Ups and link their account. Members of the board who are not also members of the Business Class team will simply see the Zendesk URLs as basic attachments on the card. Perhaps the easiest way to attach a Zendesk ticket to a Trello card is to simply copy the Zendesk ticket URL, open the card in Trello, and Cmd/Ctrl+V to paste the URL as an attachment on the card. This should work in most browsers. 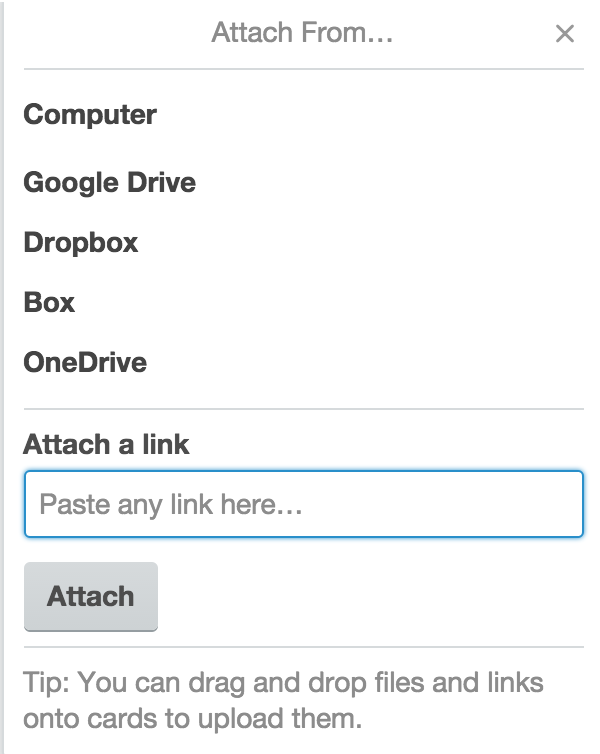 You can also use the "Attach a link" box via the Attachment button. The Zendesk Power-Up also provides a button on the back of the card, which you can use to look up tickets in Zendesk if you do not have the URL handy. Attached tickets will show in the Attachments section. Another option is to attach views to your cards, which will show you high-level stats and ticket summaries. 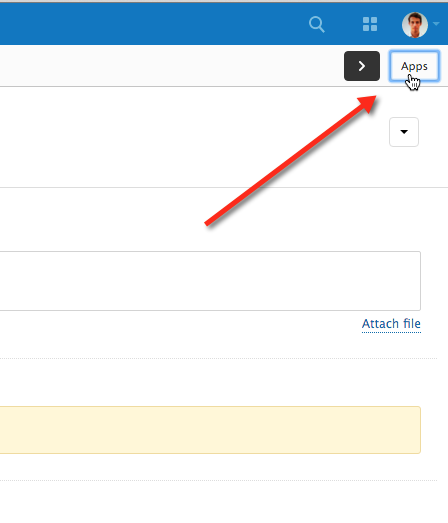 To do that, click the Zendesk button, then select "Attach a view" and pick one of the available options. Attached view will show you the type of view, number of tickets, the updated/created date of the view, and a list with related ticket previews. Below that information, you'll see a link to open the view in Zendesk. 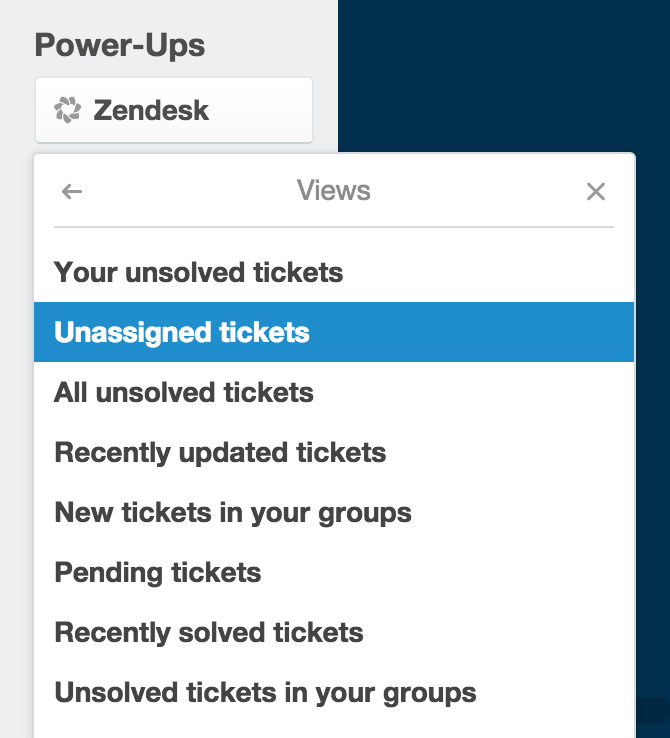 Note: Only users with Zendesk Agent accounts will be able to view tickets through the Power-Up. These tickets will not be visilbe for users with Zendesk end user accounts. 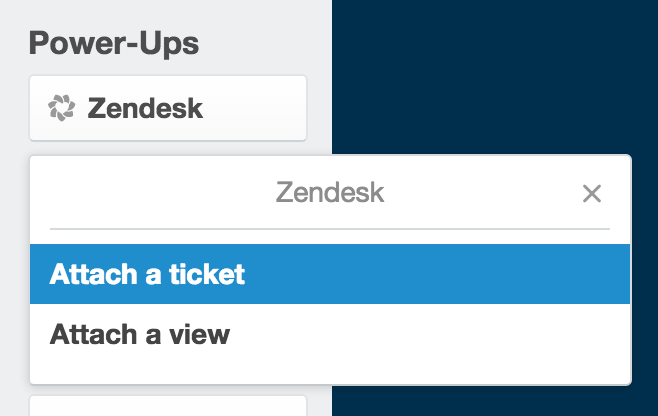 To remove a ticket, click the "remove" link at the top of the Zendesk Tickets section on the card back. You'll be given an option of which ticket to remove from the card. To remove a view, scroll down to the view in the attachments section and click "remove." To disable the authorization with your Zendesk account, open the Power-Ups menu on the right side of the board. Then click the gear icon and select "Remove Personal Settings". From there, select the option to clear data. You can disable the Power-Up for the board by opening the Power-Ups menu and selecting the Disable button. The Trello App for Zendesk allows you to create Trello cards directly from Zendesk tickets, or attach tickets to existing cards. 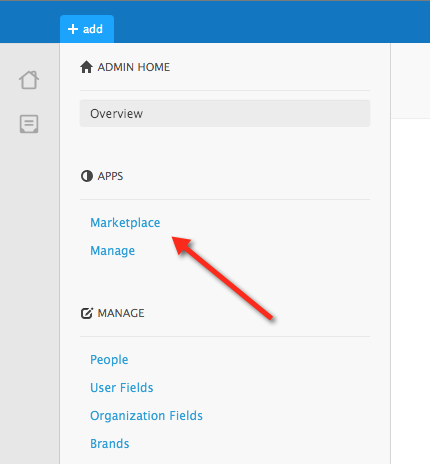 To enable the App in Zendesk, log into Zendesk as an Administrator, and navigate to the Apps Marketplace under the Admin panel. In the Apps Marketplace, search for Trello. 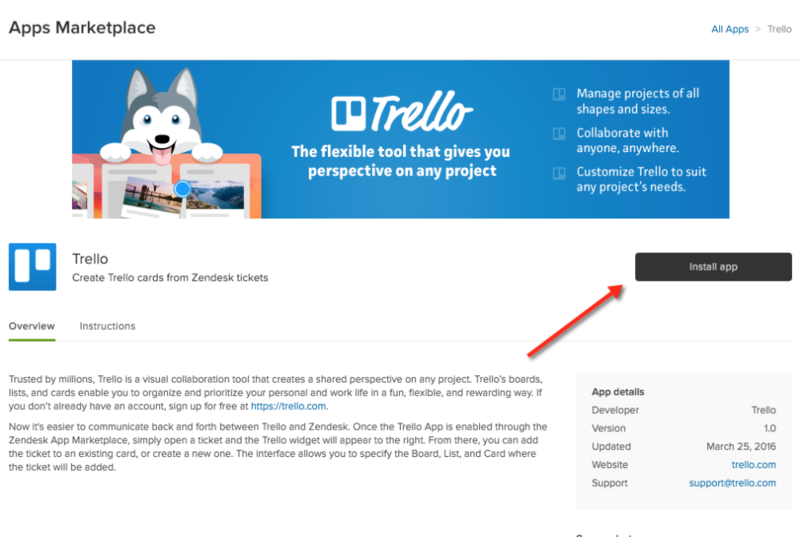 Once you're on the Trello App's page, click "Install app" on the right side. At this point, any user on your Zendesk instance can use the App. To start using it, navigate to a ticket and open the "Apps" pane on the top-right. 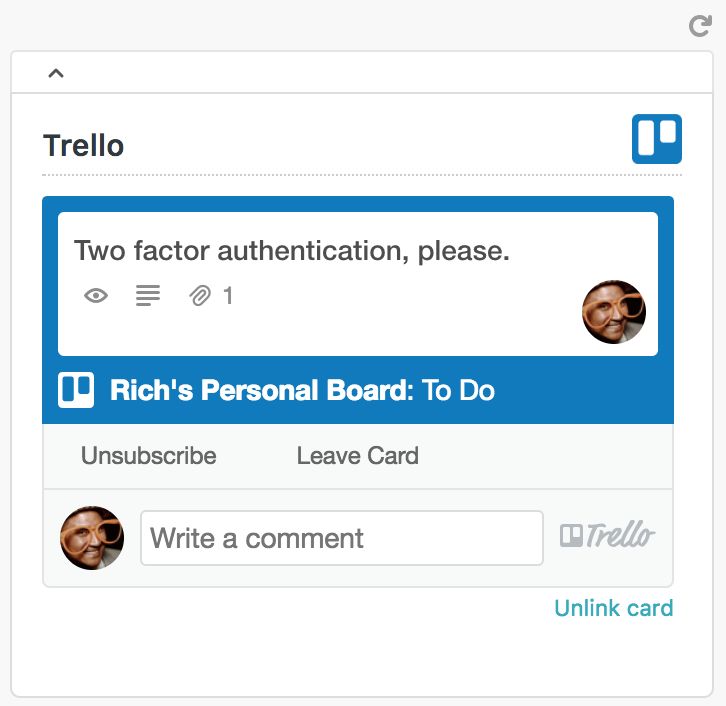 The Trello App will then show up on the right side of the screen. 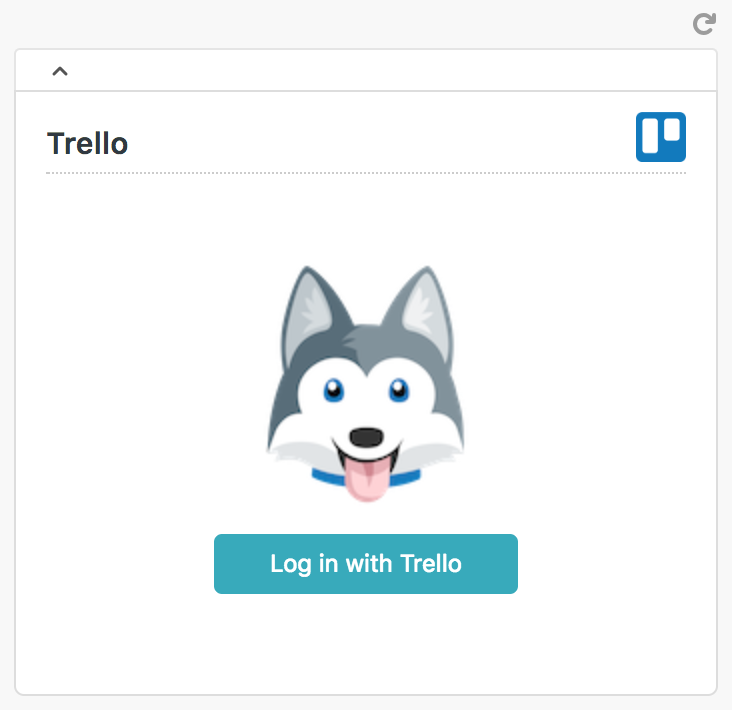 If this is your first time using the App, you'll need to authorize it to access your Trello account by clicking "Log in with Trello". Note: if you're using the app for the first time immediately after installation, you may need to refresh the entire page to use it. Once you've authorized Zendesk to access your Trello account, you can use the App. Within any Zendesk ticket, you can choose a board and list where you'd like to create a new card (with the Zendesk ticket automatically attached), or a board, list, and existing card where you'd like to attach the ticket. 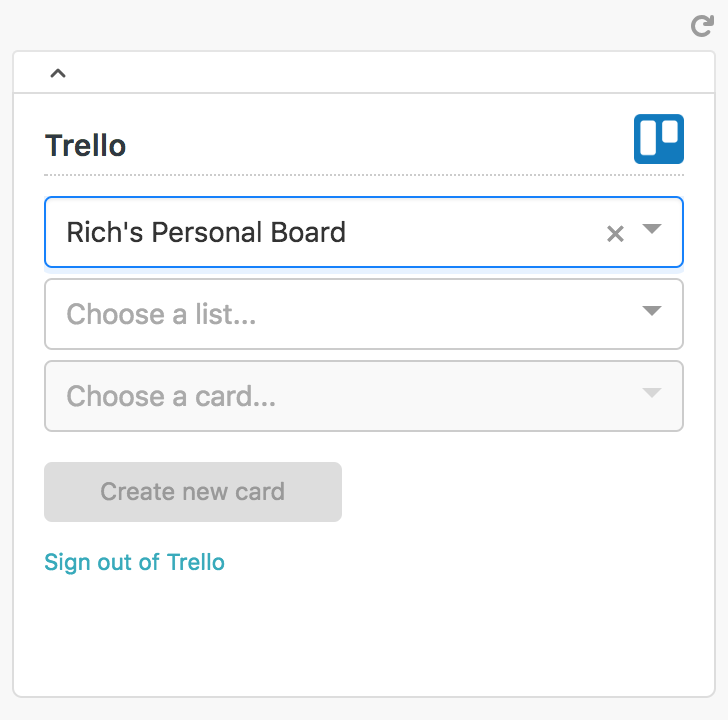 Once you create a new Trello card, relevant information about the card will appear alongside the relevant ticket in Zendesk. 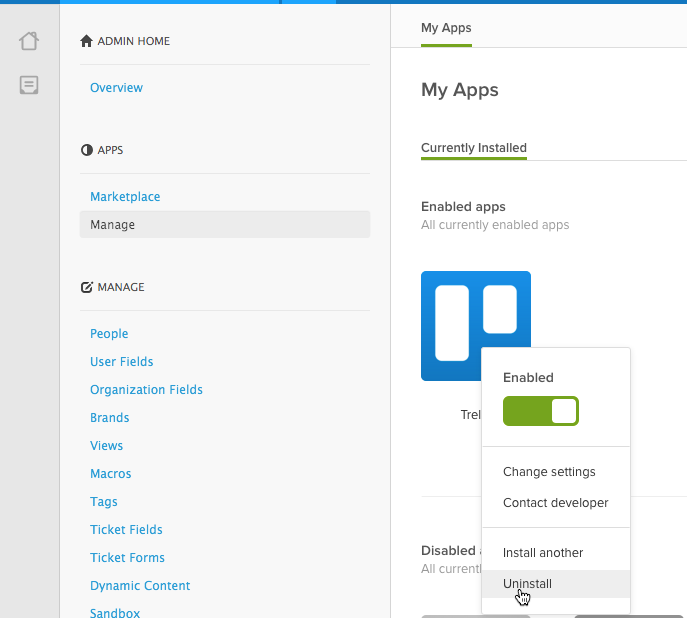 To remove the Trello App for Zendesk, navigate back to the Admin pane, click "Manage" under "APPS", hover over Trello, click the Gear dropdown, and click "Uninstall". You'll then be prompted to confirm.